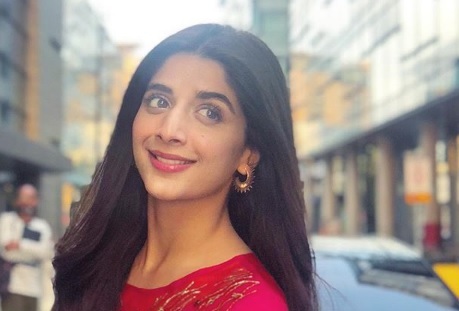 Actor and social media star Mawra Hocane celebrated her 25th birthday on Friday. Taking to Twitter, Mawra announced that she has made a donation of 100,000 rupees to the Supreme Court-Prime Minister’s Diamer-Bhasha and Mohmand Dams Fund. With the wish to give back on my birthday, l’ve donated Rs 100,000 to the dam fund. This is for my PM Imran Khan. I urge all of you to contribute whatever little you can to the future of our Pakistan. Great initiative by CJP Saqib Nisar,” read Mawra’s tweet. With the wish to give back on my birthday, l’ve donated Rs 100,000 to the #DamFund . Earlier in the day, Mawra also visited Bint-E-Fatima Old Home in Karachi and spent time with the women there. Mawra was recently part of the blockbuster Jawani Phir Nai Ani 2, which has smashed all previous box-office records to become the highest grossing Pakistani film.